+/- 40 acre tract with flat topography primarily forested with young red pine plantation. Public road access off of Little Sand Lake Road and Sugar Shores Drive. Located near Sand Lake and adjacent to Namekogan Barrens State Wildlife Area and thousands of acres of Douglas County forest lands. Parcel was enrolled in the Managed Forest Law (MFL) forest tax program in 2015 (MFL order 66-009-2015). From Minong travel north on US Hwy 53 for 5 miles, turn left on to County Rd T for 8.4 miles, stay straight on to E Deer Track Rd for 1.6 miles, turn left on to 2 Mile Rd for 0.9 miles, turn right on to E Little Sand Rd for 0.9 miles to the property. 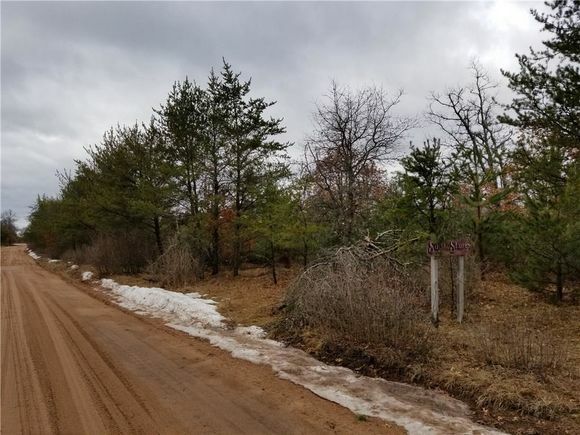 The details on On E Little Sand Road: This land located in Minong, WI 54859 is currently for sale for $55,680. On E Little Sand Road is a – square foot land with – beds and – baths that has been on Estately for 4 days. This land is in the attendance area of Northwood School.